This system agnostic Fantasy Grounds module contains 100 tokens that are 128x128 pixels in size. Most of the public domain source photos were taken between 1850 and 1872 (a few were as 'new' as 1910) and were selected to help show what hair styles and clothing of the day actually looked like. Tokens represent adult men and women of various ages, nationalities, and social strata. 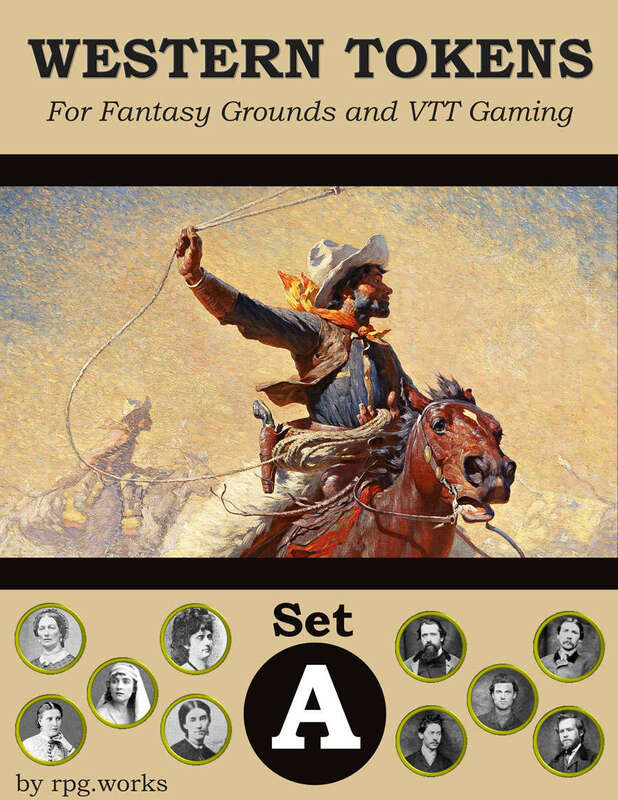 This is the first set in a series of 3 token sets with an American West theme. The tokens are distributed in an organized Fantasy Grounds module, but includes all of the source images making it easy to use with other platforms. The images are in PNG format and could easily be used with other VTT platforms. Is it possible to print these up in a physical format to use with TableTop RPGs? And if so is it easy to do so?